Peter Melonas has established a lengthy and varied artistic career. He has been a professional artist, illustrator, and graphic designer for over 35 years, beginning in 1978. He specializes in multimedia production by creating images of characters represented within the mainstream of pop culture. Time after time, his name comes up quite often in search of a particular detective wearing a deerstalker cap. 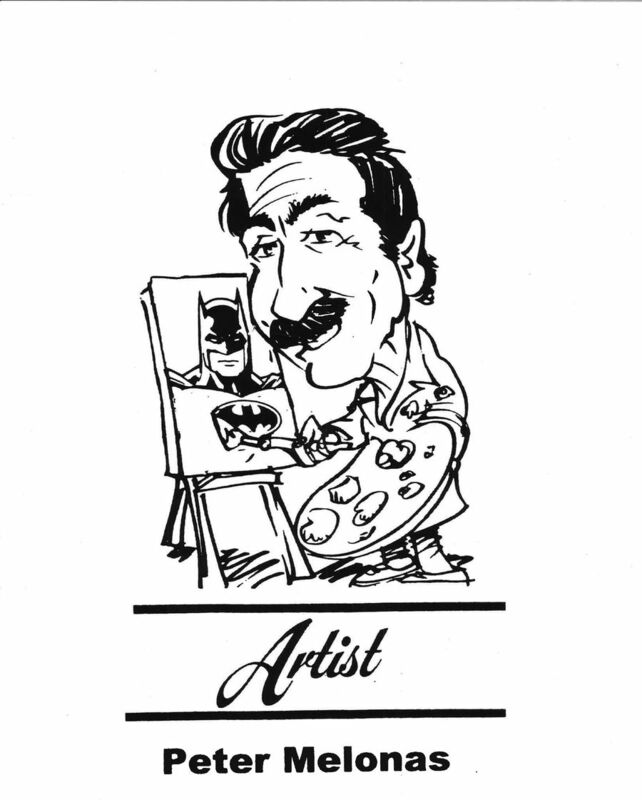 He has shown his artistry of mystery/detective drawings throughout the Mid-South. Peter has participated in many art exhibitions and juried show events.